The Daintree Rainforest is a tropical rainforest on the north east coast of Queensland, Australia, north of Mossman and Cairns. 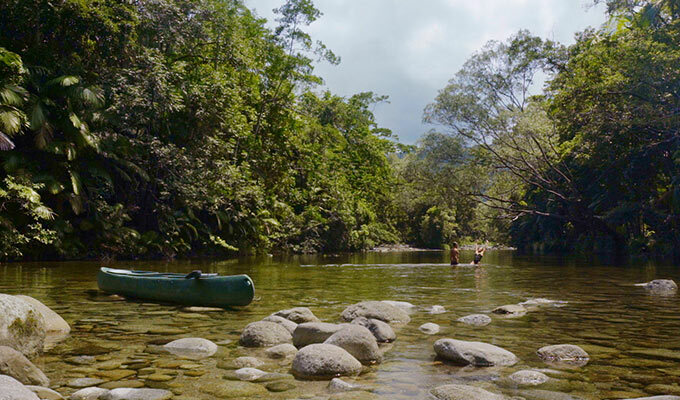 Each season in the Daintree region offers a different, unique experience. The climate is truly tropical with the Dry Season, roughly May to October, offering warm days and cool nights with low humidity. November to April is generally the Wet Season when the heavens frequently open releasing torrential rain, and the days and nights are hotter. The Daintree Rainforest is easily accessible by road from Cairns. Drive north from Cairns on the Cook Highway past Port Douglas. This section of road offers spectacular views of the Coral Sea and is among the great coastal drives in the world. The total travel time from Cairns to the Daintree Rainforest is about 2 hours. At around 2,600 km2 (1,000 sq mi), The Daintree is the largest continuous area of tropical rainforest on the Australian continent. Along the coastline north of the Daintree River, tropical rainforest grows right down to the edge of the sea. The rainforest area, named after Richard Daintree, is loosely defined as the area between the Mossman Gorge and the Bloomfield River. 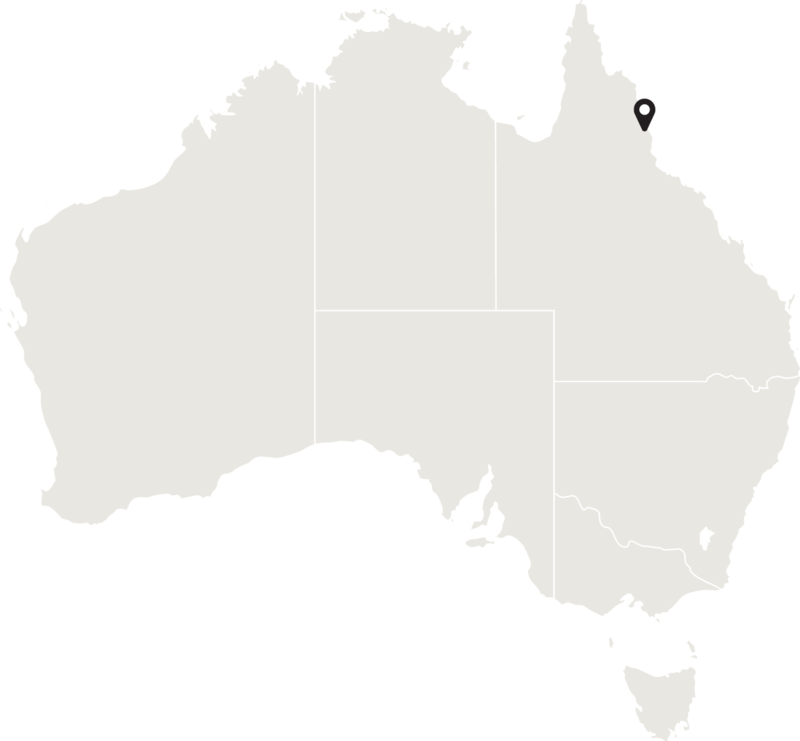 It contains 30% of the frog, reptile and marsupial species in Australia, and 65% of Australia's bat and butterfly species. 18% of bird species in the country can be found in this area. There are also over 12,000 species of insects. All of this diversity is contained within an area that takes up 0.1% of the landmass of Australia. 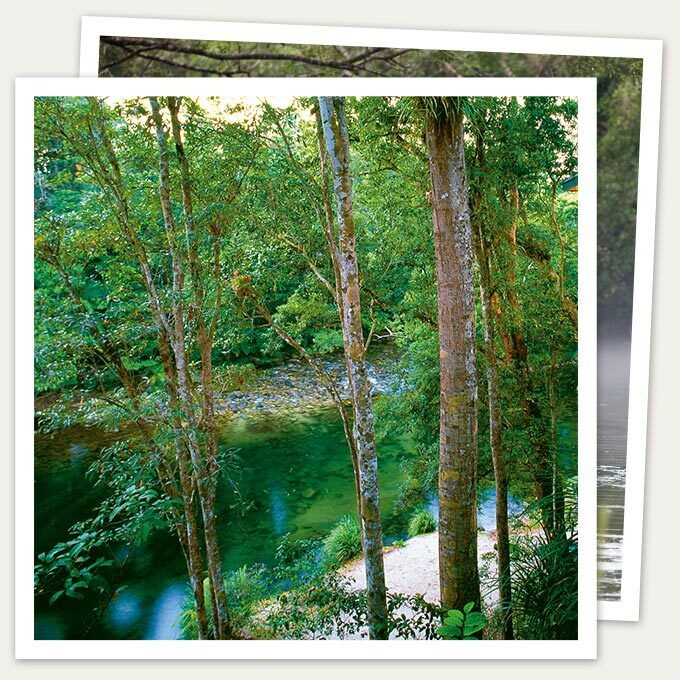 The World Heritage listed Daintree National Park is home to one of the oldest living rainforests on the planet. Part of the forest is protected by the Daintree National Park and drained by the Daintree River. The roads north of the river wind through areas of lush forest, and have been designed to minimize impacts on this ancient ecosystem. The World Heritage listed Daintree National Park is home to one of the oldest living rainforests on the planet, and originated on the super continent Gondwana approximately 260 million years ago. The diverse landscape of the Daintree region comprises a great variety of vegetation including complex mangroves, coastal heather on sand, widespread Eucalypt woodlands and the most luxuriant tropical rainforest in Australia. Today the Daintree contains plant life representing some of the earliest land plants such as ancient cycads and conifers from the Jurassic period. It also contains primitive angiosperms which are the flowering plant families that are known as fossil plants representing among others original eucalypts, citrus, holly, heath and mistletoes to name a few. The Daintree is home to a great variety of mammals and birds many of which are not found anywhere else in Australia such as the Southern Cassowary and Bennett’s Tree Kangaroo.